Cinco de Mayo on Hilton Head! 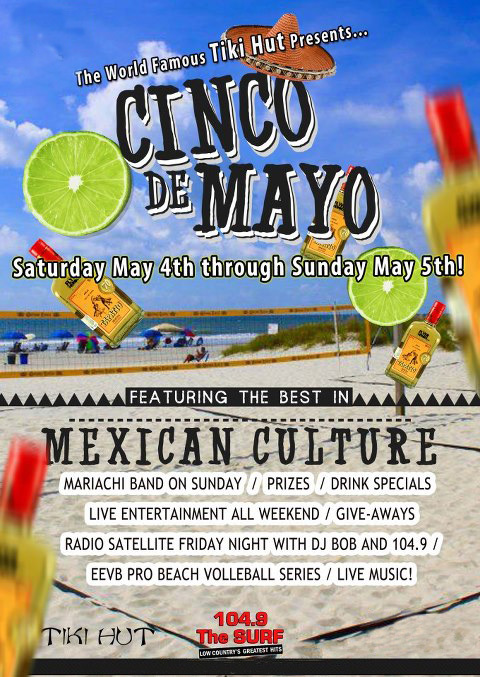 Celebrate Cinco de Mayo on the beach! Festivities are planned throughout the weekend at the Coligny Beach Tiki Hut! Live music all weekend, East End Volleyball Tournament and a live marachi band on Sunday-join in the fiesta while working on your tan! The 9th Annual Hilton Head Island Yacht Hop! — Sunset Reggae Party at the Skull Creek Boathouse!